When I was a boy back in the 70s, comics were still a quarter or less. I used to read and collect them until the price topped 50 cents and my mom threw out my collection. But I had two scruples until then. One was that (with the exception of Jack Kirby's move) Marvel heroes were better than DC, because they were so much more three dimensional and had emotional depth. And second, among Marvel titles I preferred the scifi (Deathlok, Kilraven) and horror (Tomb of Dracula, Werewolf by Night, Zombie, Morbius). But my all time favorite was Man-Thing. Looking back, I realize that what really liked was Steve Gerber who wrote Man-Thing in the 70s. I used to think Man-Thing was way cooler than DCs Swamp Thing, because his condition was even more tragic. (See rule one.) But various reboot attempts of Man-Thing were flops. Only certain writers seem to have the knack for it. Alan Moore would do as much for Swamp Thing as Steve Gerber did for his Marvel Counterpart. These days comics are driven by great writers and have now earned new respect. Unfortunately for me, my taste in these effusively creative types has declined. There seems to be too much excessive creativity and mind candy. The stream of comic flow is just a cataract of color and sentiment driven mainly by marketing gimmicks. Great writers can hold your attention but they don't have much to say that isn't approved by the mass media complex. As I was thinking about this, I was recalling yet again that it must have been much the same when I was a kid but I was too young to see. I didn't mind having my buttons pushed back then. But I couldn't help thinking that there were genuine exceptions. The one I recalled with the most fondness was Steve Gerber's Man-Thing, especially one story that stood out in particular entitled "Song-Cry of the Living Dead Man". That was blazed on my memory as being so much superior most anything I had ever read in a comic. I certainly forget most comics I read but I remembered that one the most vividly. I often thought that I had a weird psychic power, which can probably be best explained as a statistical cognitive illusion, of anticipating reruns. I would think of a show or an episode of a show, and as if it Deja Vu I would be somewhere watching that very episode. So imagine my sheer delight walking into my local comic shop today after just thinking about that very story earlier. As I looked at the usual over-choice of the same old new releases, what should I see but a new MT comic "The Infernal Man-Thing" and that the writer is the late Steve Gerber. That alone justified the $3.99 purchase. But when I opened the mag at this coffee place, I was stunned to see that it was the long in preparation sequel to the SCOTLDM story. Then, third hit, it also included in color the original story. The editor wrote an introduction to the book which explains how the book was possible which I'll let you read on your own. You owe it to yourself especially if you're an old school comic hound to pick this book. Thank you, Marvel, for the greatest new release in the history of time. Verily. I've seen more than one post on FaceBook giving substantial objections to the sinner's prayer in evangelism. Myself, I have led someone to Christ using the Agnostic's prayer. The prayer is valuable for intelligent friends who are sensitive to the sources of skepticism that are so much part of the modern plausibility structure. I present an apologetic witness, using arguments for theism and criticisms of naturalism. But my presumption is that these are if some value to those whose conscience won't allow them to consider faith due an inadequate and incomplete picture of the philosophical case for theism. My aim is to bring them to the point where their desire for meaning is peaked and where a theistic interpretation of life seems again like a live option. On the one hand, praying this prayer is a reasonable risk if one cannot rule out the possibility that a good God exists who so to it that human beings exist with inherently religious dispositions. But it is also a commitment to be prepared to accept evidence for answered prayer according to the proportion of what we are able to know. This prayer assumes that not all demands for evidence are legitimate. If someone wants proof that he is not wired into the Matrix, it may not be forthcoming. And this could be that God could not provide such evidence without contradicting the nature of human reasoning. To overcome such skepticism would be to remake man into a God-like omniscience. And this at not be logically possible for man to be. God could not be obliged to do the logically possible. So the demand for such evidence is illegitimate. But on the other hand, it is clear that humans have an insatiable desire to understand and phenomenological evidence of cognitive activity that gathers evidence, forms hypotheses, judges their truth, and assumes responsibility for doing so. If God exists then we expect that this cognitive process is as good as what it appears to be. So if God exists, we expect Him to adapt His message to this truth seeking design. If we pray the agnostic's prayer, we are prepared to act on what evidence God may give us. The Agnostic's prayer is a kind of minimal promise making. It is open to possibilities that may or may not obtain but because it's a promise it brings about a state of affairs that didn't exist before but which adds to the moral reasons for accepting Christ when it is appropriate to do so. I also suggest whether they pray the prayer or not (and I don't insist the do it in front of me or using this formula) that they must take seriously that God may have already provided for an answer somewhere already since one might expect that such a prayer would be possible for many people. Then I introduce some of the evidence for Christianity and invite them to look more deeply into the matter to see if it's so. 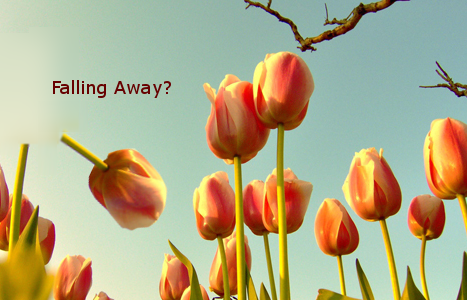 I know one seeking person who was effectively led to Christ, saying that this was just what she needed to hear. Maybe you are in the same boat. You feel like you cannot responsibly receive the good that God would do you because you see no justification for God. Science seems to have the money in the bank that overrules any plausibility of theism. And yet it seems true to you that your whole being is meant for something rather than nothing, But it is possible to move from skepticism to faith through several gradual steps, each of which based on evidence is a rational risk. If you are willing to expectantly explore the case for God and for Christ you will find the way - because God will be guiding you - to a reasonable, healthy, mature adult and saving faith in Christ. A friend posted on Facebook his objections to taking the Pledge of Allegiance because of its roots in progressivism. After checking this out to see if I thought this was a sufficient reason for not taking the pledge (I don't think it is but the angel is in the details), I ran across the phrase "ceremonial deism". 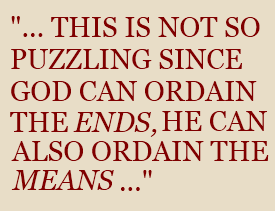 The phrase indicates certain uses of expressions like "under God" in civil ceremonies. 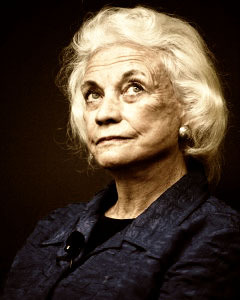 It stands for an argument, well expounded by Supreme Court Justice Sandra Day O'Connor, that such expressions due to formulaic and repeated use, do not bear any robust meaning, much less religious significance, and so do not amount to an establishment of religion in violation of the first amendment. This seems to focus on the denuded aspect of such language but the perceived value of introducing such language shows we can't see ceremonial uses as totally empty. For example the phrase "under God" was added to the already existing pledge by the efforts of religious organizations like the Knights of Columbus and by President Eisenhower who was a newly minted Presbyterian at the time. Further, the legislative argument looked back to the Founding Fathers and specifically to Lincoln's Gettysburg Address and the appeals made to God there. For civic purposes, God is the objective ground of universal and perpetual equity and thus sets the standard of justice that the formation, enforcement, and adjucation of the Laws must comport to. God also grounds the possibility of legal reasoning as the means to secure justice and fairness as opposed to appeal to the stars or combat. Finally, God fulfills the role of final Judge of statesman and grounds the probationary climate of the practice of the state, holding the leaders accountable and making it rational for them to maintain the rule of law in difficult situations. Thus, statecraft is not left to brute nature, either by seeing society as a jungle or as the debris of natural processes. God also grounds the society as a humane economy. Because God is taken to exist, the possibility of God as a religious object of worship must betaken with prima facie credibility by the state. However, the paucity of the concept of God postulated for civil society does not speak to what the true religion must be but only provide space for the free and peaceful exchange and expression of the variety of religions. The state, though it presupposes God does not do so as a religious object but as a political one. So it's not surprising that the God postulated by the state is a via media between a reductionistic secularism and revealed religion, a God that does "some work" but is not "robustly meaningful". A God who is most always referred to in the third person in our civil ceremonies. Martha Neusbaum remarked that ceremonial deism was odd because Deists (i. e. philosophical deism) believes in an impersonal cosmic principle and not the personal God supposed by our ceremonies. She is no doubt thinking of Aristotle who only supposed "God" to be only an ultimate final cause, thought thinking itself, and having no regard for what's going on outside of it, while everything else is attracted to it. Such a concept would certainly by stable and answer to some of the civic functions. Such a God would not be creative in any supernatural sense but only directive and only inadvertently so with respect to the world. Such a God would neither be imminent nor transcendent but simply be "at the edge of reality". But the Deists of the Founding period were not Aristotelians. Even though not Christians the still held that God was a moral law giver and therefore a personal agent. This thanks to the work done between Aristotle and that time in which God was seen as first in the order of efficient and formal cause as well as final. God is agent and not just thought. In fact, even thought thinking involved agency in the same sense as pure act as classical theism. Further, even if pure thought itself takes no regard for those that it influences, it would still ground a principle of karma that rewards justice and punishes injustice in a next life. Philosophical Deism is an effort to maintain a tension between God as Moral Ground and God as involved in the affairs of humans. But pushing the latter makes God so remote as to fail to fulfill civic functions adequately. But pushing God as Moral Ground makes God a propeaduetic for a rational revealed theology. Bishop Butler famously illustrated this in his Analogy of Natural and Revealed Religion, arguing against the Deists that the grounds and methods of Deism by parity of reasoning also supported Christianity. But while Deism as a philosophy is in tension, a Christian theism that recognizes different spheres of responsibility mitigates those tensions. By recognizing that religion, politics, and science are distinct spheres from each other and also from the Christian worldview, they can recognize that the same God is primary in all spheres, have space to attend to the possibility of revealed religion on the religious sphere, while preserving God's role as a political object in the civic sphere where the share life with non-Christians on equal terms.